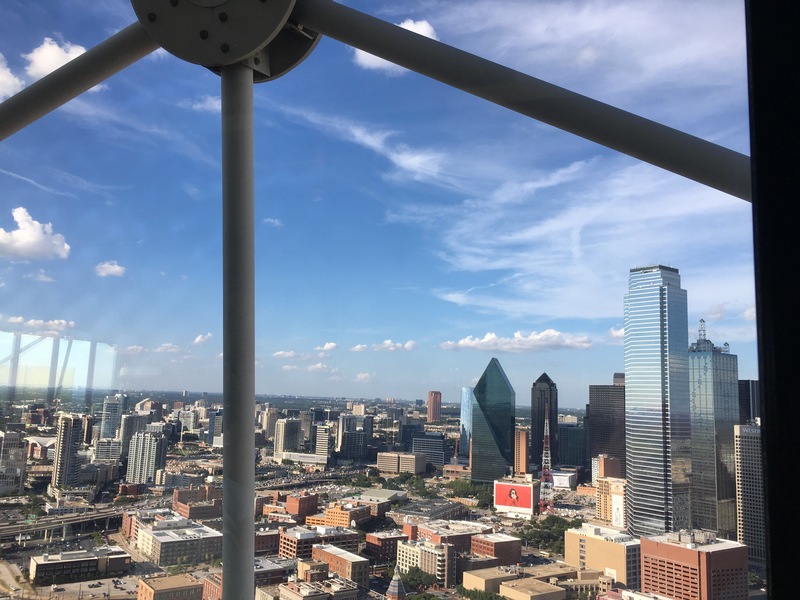 Whether you have lived in Dallas all of your life or you are new to this great city of ours, you know that Dallas’ guiding light is Reunion Tower. 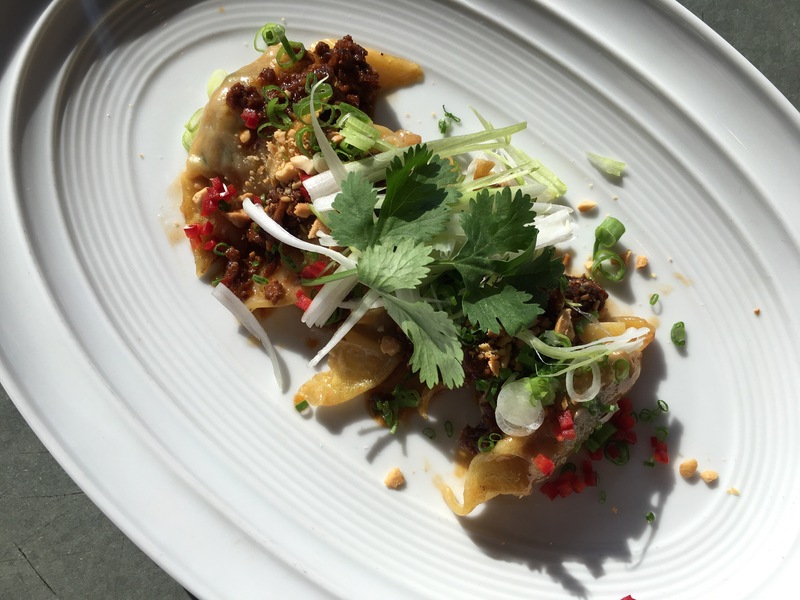 Located at the tippy top of this Dallas staple sits Wolfgang Puck’s Five Sixty. 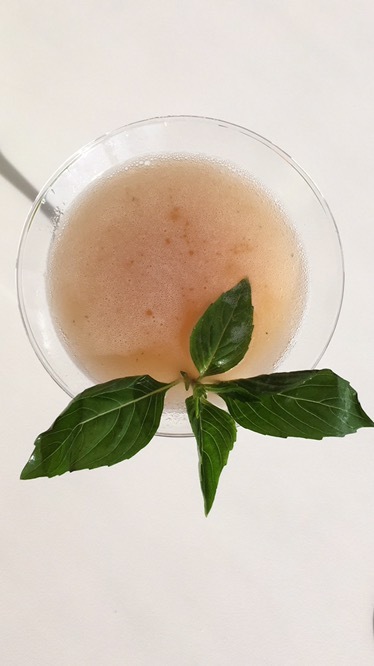 While it’s not very often that you get to sample some of Dallas’ finest cocktails while up in the clouds, I had that opportunity last week when I was invited in to try out the new cocktail menu. I know, I know, it’s a really tough job but somebody has to do it! These new handcrafted cocktails at Five Sixty feature various seasonal ingredients and house-made syrups from Executive Chef Jacob Williamson. The syrup recipes are literally kept under lock and key and feature flavors ranging from jasmine, honey and maple, to chili rosemary and lemongrass. 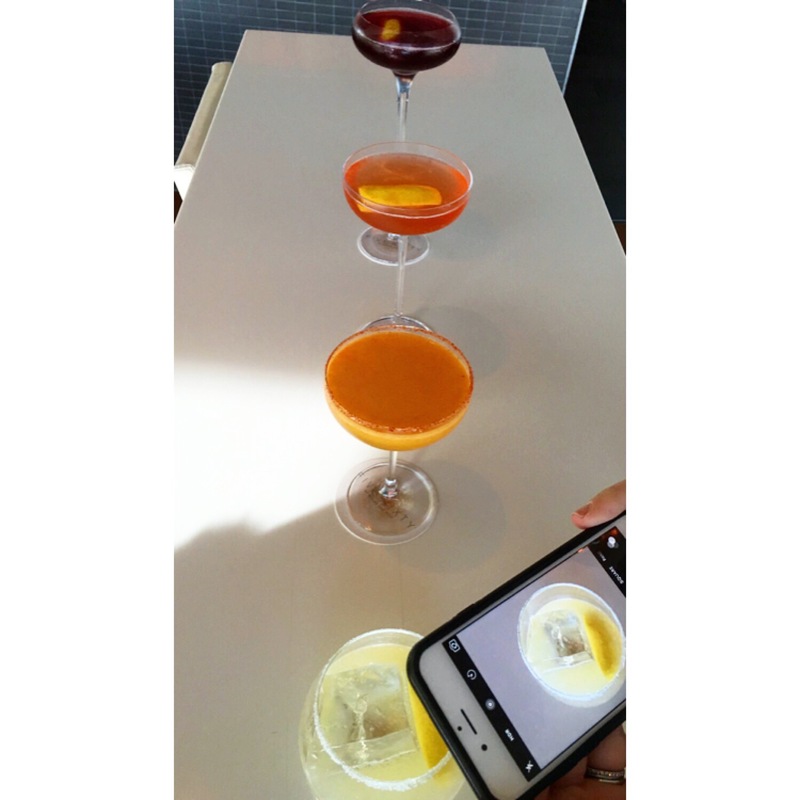 · Tiffany Twisted – Aperol, St. Germain, simple syrup, fresh lemon juice, lemon bitters and rosé champagne. These Cocktails are seriously stunning aren’t they? You honestly can’t go wrong with any of the new seasonal offerings! 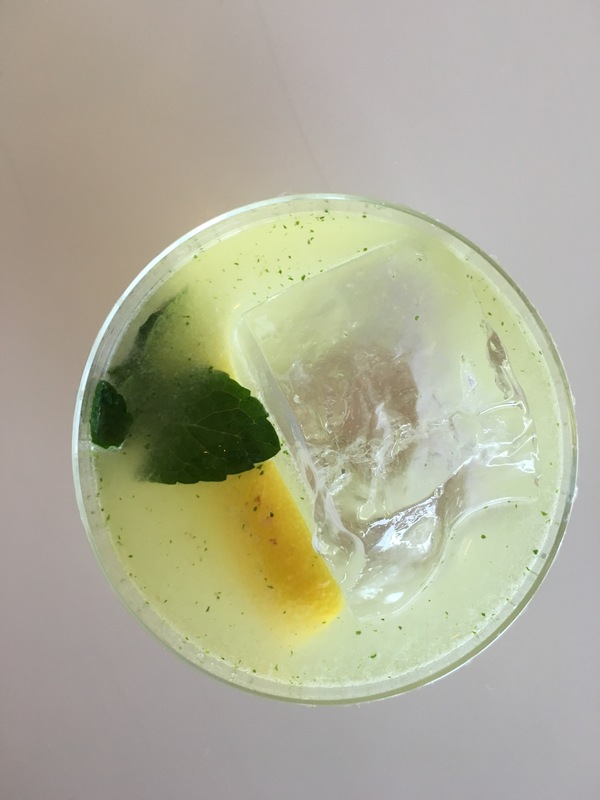 While the seasonal cocktails are not offered on Five Sixty’s happy hour (otherwise known as the Izakaya menu), we need to briefly chat about what is offered because it is an incredible deal with an even better view to top it all off! Monday through Thursday’s from 5pm-7pm, everything on the Izakaya menu is $4 off, Bud Light and Miller Lite are just $4 and $7 glasses of 90+ “Lot 2” Sauvignon Blanc and Four Vines “Truant” Zinfandel are also offered. The Izakaya menu features delicious light bites like calamari and fresh dumplings as pictured below! 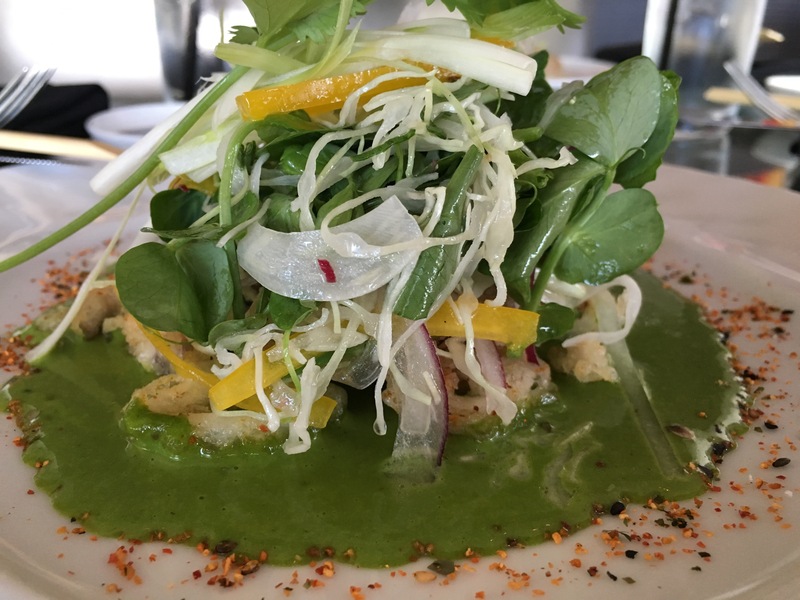 So, if you are in need of a great happy hour or simply want to enjoy some delicious cocktails and food while taking in the best view in Dallas, be sure to stop into Wolfgang Puck’s Five Sixty!